Hotel Neptuno - "From breakfast to dinner, and everything in between"! 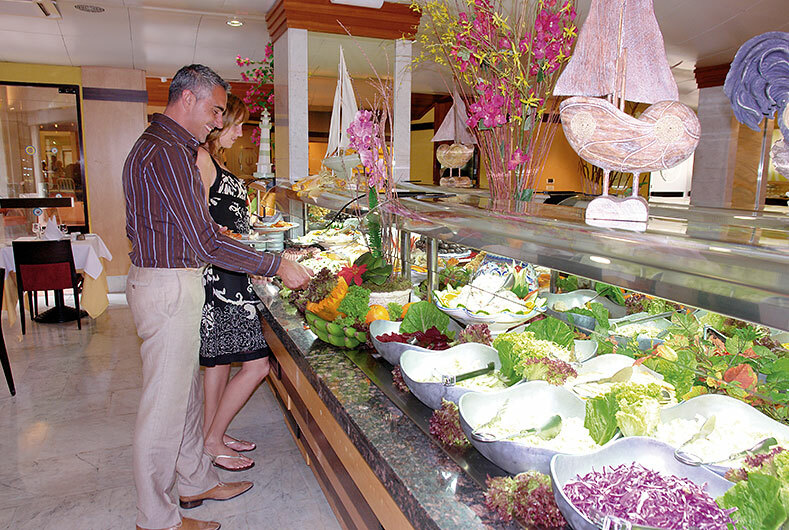 The Restaurant ‘Nautilus’ offers an excellent buffet breakfast from 8.00 till 11.00, and from 18.30 till 22.00 you can enjoy a delicious buffet dinner with a wide variety of hot and cold international dishes. For lunch, the Snack Restaurant ‘La Sirena’ has various Spanish and international dishes on its menu. Twice a week, a thematic lunch, either barbecue or paella, is served. In the ‘Sotavento’ Bar, you can enjoy exotic cocktails and other drinks in a relaxing and elegant atmosphere.